The mythical Hall of Records is allegedly a library buried under the Great Sphinx in the Giza pyramid complex. It is rumored to house the knowledge of the Egyptians in papyrus scrolls, much as the Great Library of Alexandria housed Grecian knowledge. There is debate as to whether the Hall actually exists or not, but all excavation in the area has so far yielded little or no results. In truth they never will find a Hall of Records, as that is a term referencing the frequency grids that create our reality, nothing more, and will not be accessed until consciousness evolves back into light at the end of the program. Our reality the Masonic (mother sound) Program began in the Middle East (Giza plateau) and so it shall return at the end of time. Encoded in the journey of humanity is to quest for knowledge about our origins, our creators, and how that will lead us to discovering the truth about who we are and why our souls came here. Finding enigmatic objects and places such as the Holy Grail, the Ark of the Covenant, the Akashic Records, Shambhala, Atlantis, etc. is about the quest to find sacred knowledge, the keys that will unlock the truth about reality. Who are you? Why are you here? What is your soul's purpose? The answer: We exist in a consciousness hologram, a biogenetic experiment in linear time and emotion, created by electromagnetic grids through which we virtually experience. The program will soon end having come full circle in the cycles of time. It's all about knowledge. Though repeatedly denied by mainstream Egyptologists, the mythology of the Hall of Records is a popular one among those who hold alternative theories of Ancient Egypt while conducting scientific inquiry in the mysteries of that time. The sources on which this topic is based are not robust. The origins of the story about the "Hall of Records" are unknown, though the idea that there is a cavity around the sphinx dates back to Pliny. In Pliny's Natural History, he states that "the Egyptians are of the opinion that a King Harmais is buried inside it." Psychic Edgar Cayce had several psychic reading of the Hall of Records. He claimed that in 1998 the Hall would be discovered and opened and humanity would move into a new era of prosperity. 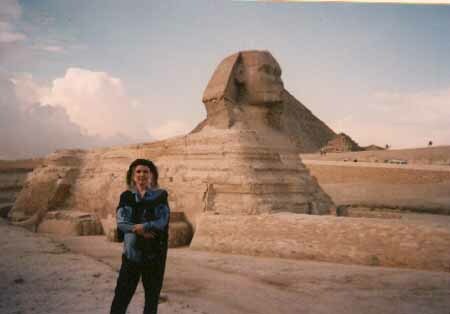 The history of the Earth would be found in the right shoulder of the Sphinx. Cayce also suggested that the opening would coincide with the Second Coming of Christ. Graham Hancock and Robert Bauval, in "Message of the Sphinx" stated that American archeologists and the Egyptian government had in the past blocked investigations around the Sphinx, including attempts to locate any underground cavities. Bauval later wrote Secret Chamber in 1999. According to Bauval's research, Egyptian Antiquities granted an American team a license to search for the Hall of Records under the Sphinx. It is know that there are three passages around the Sphinx, two have unknown origin. One is a small dead-end nineteenth century shaft behind the head. Also, little holes in the body of the Sphinx may be related to its construction, but this is unknown. According to some, the Hall was not the work of Ancient Egyptians at all but another society (this has ranged from advance prehistoric societies to a superior race of intelligent beings). Accordingly, this society sealed the Hall away with scrolls of their accumulated knowledge at about 10,500 BC - the last period of time when the constellation of Leo was located between the Sphinx's paws when it rose in the night sky. Skeptics have relegated such notions to be much like the supposed inhabitants of Atlantis in the Hellenic Myth. The study of and the search for the Hall may fall under the category of pseudoarchaeology, if such activity does not use methodology that is part of the established scientific method. Also of note, There are 2 other Hall of records located in and around Bimini and in the Yukatan jungle, most likely the ruins of Piedras Negras. 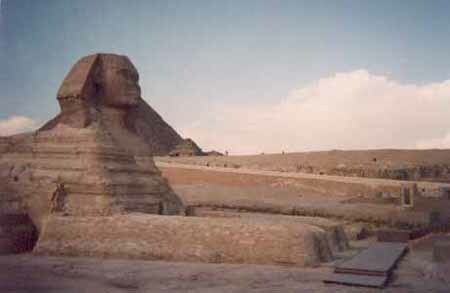 The Hall of Records will be discovered in the right paw of the Sphinx. An inscribed cuneiform tablet (Sumerian program) will be found, which one of them will decipher. Three hallways lead away from this room. They will chose the correct one leading them into a long stone hallway lit with no apparent light source. High up on the left side of a wall they will find 48 sacred geometry drawings etched in stone, the first one being the flower of life. At the end of the hallway they make a slight right hand turn into a large stone chamber, whose walls describe the journey of humanity to that date. Resting on the floor are 3 large stone sarcophagi covered in dust. Atop each is inscribed an image with the likeness of each of the 3 people along with their name as once it was. Underneath each name is the date of their discovery in the 21st century. Inside each sarcophagus is the way they were when first they entered the hologram of this reality along with instructions of how the remainder of time will play out.